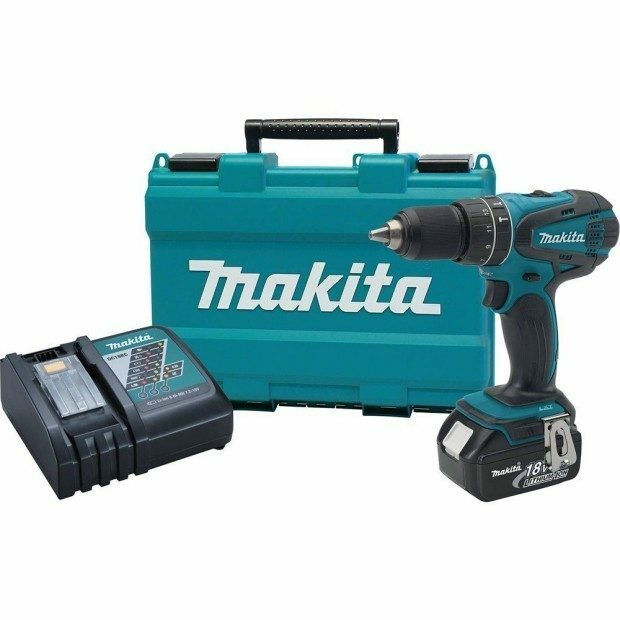 Head over to Amazon and order a Makita 18V Cordless 1/2-Inch Hammer Driver / Drill Kit for Only $99! (47% Off!) Ships FREE! The Makita 18V LXT Lithium-Ion Cordless 1/2-Inch Hammer Driver-Drill (model XPH012) delivers versatility and performance to the jobsite. The XPH012 can be run as a driver-drill or a hammer driver-drill, allowing the user to carry just one tool on the job instead of two, replacing the standard driver-drill. It’s part of Makita’s expanding 18V Lithium-Ion series, the world’s largest cordless tool line-up powered by an 18V Lithium-Ion slide-style battery.